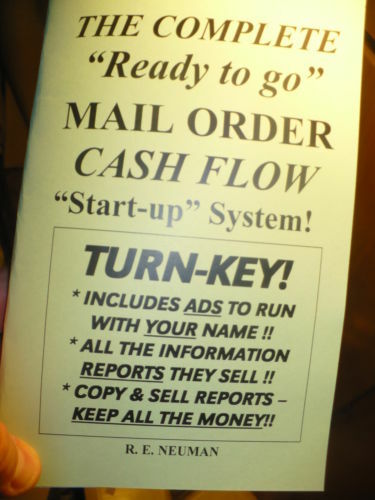 Turn Key, INCLUDES ADS TO RUN WITH YOUR NAME! Break into mail order today...the EASY way! Here's how this simple and easy system works. Customers cannot resist a FREE GIFT! Where to find cheap or even FREE places to run your classified ads! Make even MORE money with "backup offers"! You're "in the game" now... what next? !